VMware continues to expand its software-as-a-service (SaaS) based cloud operations platform to help its enterprise user base make the most of cloud computing services such as Amazon Web Services and Microsoft Azure. The company has released a trio of new cloud automation services: VMware Cloud Assembly, VMware Service Broker, and VMware Code Stream, as well as a new cloud configuration security and compliance service, VMware Secure State. It has updated its Wavefront cloud monitoring service as well, to better manage containers and Kubernetes. Adopting these tools can save the enterprise up to 60 percent from its costs of using public cloud services, asserted Milin Desai, VMware’s vice president and general manager of the Cloud Services Business. “We can help them optimize how they provision cloud services, such as AWS’ Relational Database Service,” he said. 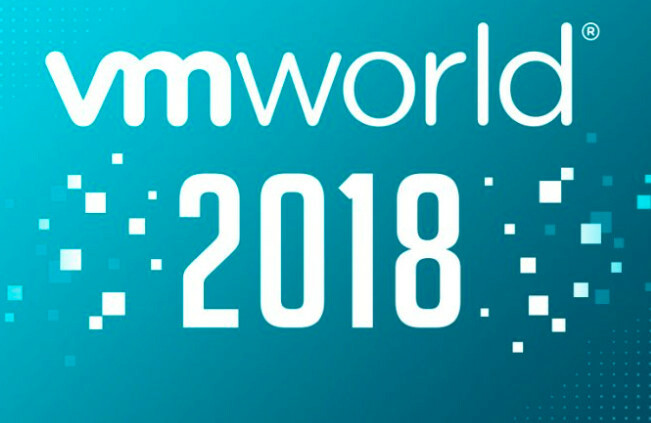 VMware announced these new services at the company’s annual VMworld user conference, taking place this week in Las Vegas. The company is responding to the move on the part of enterprises to use multiple cloud providers — according to Forrester 89 percent of enterprises use at least two clouds and 74 percent use at least three or more public clouds. VMware Cloud Assembly provisions cloud resources through Infrastructure-as-Code-styled declarations and can work with AWS, Azure, and VMware Cloud on AWS. VMware Service Broker provides an enterprise-wise catalog of resources across the different cloud providers, as well as manages access to enforce security, deployment and business policies. VMware Code Stream is a continuous integration and deployment service that establishes a workflow from the developer to the cloud services, including paths for testing and troubleshooting. It includes easy integration points with other CI/CD tools, such as Jenkins, and works with VMware-based private clouds, VMware Cloud on AWS and native public clouds. Also new, the VMware Secure State (currently in Beta) monitors cloud assets in real time, checking for cloud-native vulnerabilities, and checks system settings against approved configurations. For instance, it can alert an operator when an AWS S3 bucket is left open after the application using it has closed. In addition, an update to Wavefront by VMware, which provides monitoring and analytics for distributed cloud native applications, has been upgraded to be able to manage 100,000 containers. It also provides full support for Kubernetes as well as for monitoring Amazon Lambda serverless deployments.